Click on image to purchase Vampire BabyThis picture book was written by one my most favorite authors, Kelly Bennett, and it is the perfect pairing for the upcoming season of blood-sucking fun! In Vampire Baby, the once sweet and cuddly Tootie has transformed overnight into a diaper-wearing vampire! Tootie bites all the time, and her favorite person to gnaw on is her older brother. He tires of being her perpetual victim and encourages a real vampire family to take her away. In the end, his protective nature takes over and he realizes that he loves Tootie, fangs and all. Needless to say, creating a guide for this delightful story was great fun for me to do. I encourage you to check out the book and then review the guide. In it, you’ll see plenty of fun and games as well as an academically sound manipulative activity focused on teaching story structure. Folks, this concept is a tough one to teach. However, with some paper, scissors and Vampire Baby in hand, the heady literary elements of setting, character, rising action, climax, and resolution become less threatening and easier to comprehend. Hope you have a safe and happy Halloween. I plan on it. Wish me luck keeping my hands out of the candy bowl. I'm a blood-sucker for candy corn. Click on image to purchase through IndieboundJust like teachers can't help but to have favorites, I feel the same way about the guide I created for this charming book written by Stephanie Greene and illustrated by Stephanie Roth Sisson. The story tenderly depicts a young child's ambivalent fear of Halloween spookiness in a subtle and sweet way. I enjoyed creating this guide almost as much as I enjoyed reading the book. There are plenty of discussion questions and fun lessons to choose from in the book guide. One the most enjoyable activities is the Black Cat Domino Game, and it's super easy to make, too. Just print the domino game pieces off on card stock. Trim around the edges of the domino cards and you're game-ready! The game can be played with one or more kiddos. Simply shuffle, stack cards face down, and begin matching the quantities of black cats printed on the cards. I do hope that you'll take some time to check out Princess Posey and the Monster Stew and then access the guide. Hopefully you'll find something in it that will compliment your Halloween festivities in a booo-tiful way! Fab Guide for The 14 Fibs of Gregory K.
The 14 Fibs of Gregory K. is precisely the type of story I would have used in my classroom when I worked with those wacky upper elementary kiddos. It's funny and tender and intelligent and delicately didactic, in a super-subtle way. Both boys and girls will enjoy this tangled tale of confusion, mild deception, pi (pie), and poetry. Its a story about a boy who has a poet's heart and a father who is blind to the his passion. Author Greg Pincus nailed the voice of a conflicted, well-intentioned kid who, because of his desire to please others, gets caught in a web of lies - or fibs. Ultimately, through the study Fibonacci and his fascinating numeric sequence, the protagonist finds a way to be true to himself, as well be honest with his dad about his love of writing. Fibonacci - and that ain't no lie. In addition to being lively and full of comical action, this book is layered upon layer with depth of that would reflect these literary elements and have some Fitheme and premise. I wanted to make a CCSS aligned guide Fibonacci fun, too! In it, along with gobs of discussion and writing activities, are three brainiac lessons that I had a total blast creating - The Pi Number Roll, Fibonacci Numbers in Excel, and - the all time classic - The Fractal Foldable! It's my hope that Pincus' The 14 Fibs of Gregory K. will become as timeless as the Golden Rectangle. I know it's tons more entertaining. A Guide Celebrating America's Finest! Author Patricia Newman deserves a 21-gun salute for penning two exciting titles. Navy SEALs: Elite Operations and Army Special Forces: Elite Operations are both part of the Military Special Ops series and are phenomenal. Newman takes the reader behind the scenes to show what it takes to become some of America’s best. Full of action and ammo, young readers are sure to enjoy this engaging non-fiction. The books are rich with well-crafted text, great glossaries, fascinating photos, plenty of interesting sidebars and quotes from servicemen of all ranks – a plethora for this book guide crafter to work with. Patricia asked that I make a joint guide, one that would encompass the integrity of both books in one. My intention was to design a make-shift scavenger hunt that would mandate that the reader would have to read carefully to solve the puzzle, of sorts. The mission was accomplished, I must say. One of the most gratifying activity (and the most fun) to create was the Path to the Green Beret and Earning the Trident Foldables. Here, the reader must perform reconnaissance through the text to discover the steps a Special Ops hopeful must take to earn the high honor to serve our country as a Navy SEAL or in the Army Special Forces. The foldables earned a gold star. Check them out. Whether by land, or sea, or air… I can tell you, after making this guide, I am so very glad that the Navy SEALs and Army Special Forces are here. God bless America and the fine men who serve her. Odette's Secrets is one of the most beautifully written novels I've read in a long while. Written in free-verse, author Maryann Macdonald captures the inner conflict of a young Jewish girl who, in order to survive, must keep her heritage secret. Nazis have destroyed her happy home in France. 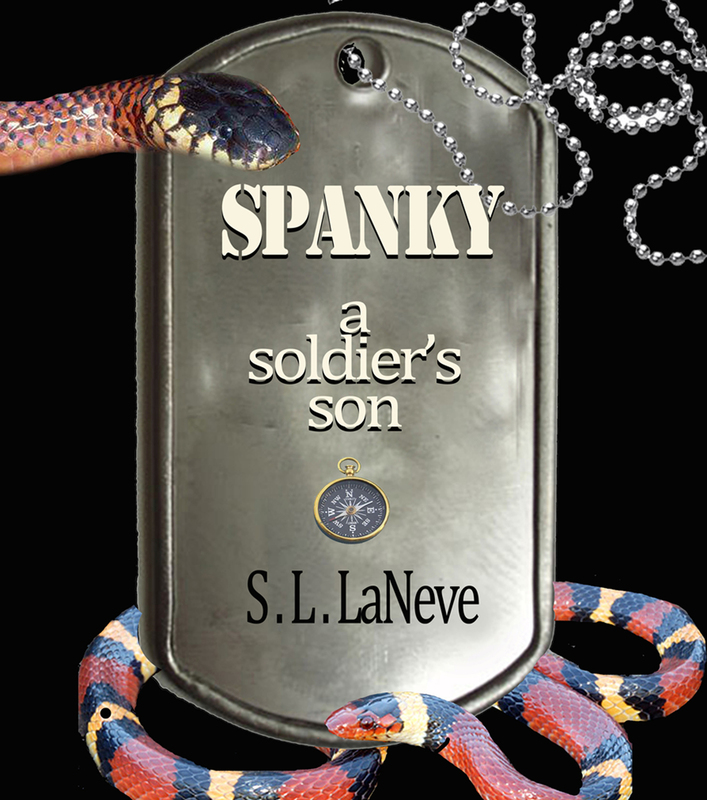 Her beloved father enlists in the French army. Her mother joins the Resistance, and Odette is taken from Paris live with Christians in the countryside. There, among other things, she questions what it really means to be a Jew, and wonders if she will ever be able to truly live as one. Maryann thoughtfully explores the sheer essence of humanity while keeping the middle grade reader's sensibilities in mind. Through the eyes of this tender girl, we see the very best and the horrific in all kinds of people. Odette is trying to make sense of her world, which is sometimes warm and loving, yet primarily confusing and contradictory, all the while she must keep her heart shut tight with secrets. The map foldable sans labelsLet me say that I consider it an honor to have created a guide for this important book and, most especially, for this delightful author. Like all of my guides, I wanted this one to be unique to the topic and theme. Not only did I hope to guide the reader in a deeper awareness of Maryann's intent for the story, I wanted memorable activities that would compliment the experience, as well. One activity is the Map Foldable, which I had a ball making! The Map Foldable complete!On the map, I focused on the European countries in which Odette's Secrets were set. My hope is that, as the reader snips and tapes away at the simple craft, they will get a real sense of the distances Odette's broken heart had to travel. 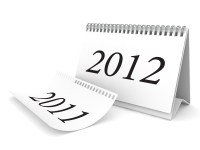 Follow up questions are included to help guide in this experience. I maintain that it is the simple things that make a lasting impression. After engaging in heart-felt, introspective discussion about profound themes, such as those explored in Odette's Secrets, kids really enjoy making simple projects such as this. In fact, I think they're downright therapeutic! Of late, I have been having a ball creating foldable activities for the guides I'm commissioned to do, adding a little bit of crafty, Simple Saturday-like flair to each. Patricia Newman's Biofuels (Cherry Lake Publishing) provided the perfect fodder for a terrific pocket sorting foldable. Kids love to learn while creating projects like these. Heck, I do, too, for that matter. You can access the guide by clicking HERE to get a sense of how the foldable is created. Basically, I printed key phrases from the text on small cards, each associated with at least one energy source. These phrases are to be classified by slipping each card into the proper pocket labeled with the energy sources presented in the book. During the editing process, Patricia and I discovered something pretty remarkable - a number of the phrases printed on the little cards could be cross-referenced with two or more biofuel categories! For instance, the phrase "Carbon is a key ingredent in production" can be slipped into the fossil fuel and the biomass pockets. Or, both biodiesel and biofuels cut back on the need for non-renewable energy sources. This discovery makes me happy to think of the budding engineers and scientists deep in discussion as to what pocket the cards should be placed. Neat thought, isn't it? In closing, I give Patricia's Biofuels a hearty thumbs up with an extra generous dose of biofuel made from algae oil on top! Yum. Noah Webster & His Words - CCSSI Annotated to the Max! I love Noah Webster & His Words! I love, love, love it's historically layered sense of patriotism. 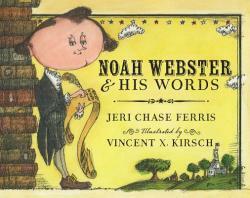 Author Jeri Chase Ferris did an incredible job depicting Webster's vision of uniting the country through words! The CCSSI Annotated Discussion and Activity Guide celebrates Webster's passion with a number of word games that can be played independently or with pals. Skills such as alphabetizing, syllabication, and searching for words in a dictionary can be practiced in a fun, collaborative manner. Kids can craft a historical timeline to study Noah's life achievements. And there is even a cross-word puzzle comprised of key words sprinkled throughout Jeri's clever text! Included in the guide is a four-page annotation linking the activities to the Common Core State Standards for English Language Arts & Literacy suitable for K-5 students. The book and the guide are classroom-ready and super kid-friendly - the perfect combination, wouldn't you say? One Day I Went Rambling Giveaway! Parents, teachers, and librarians! 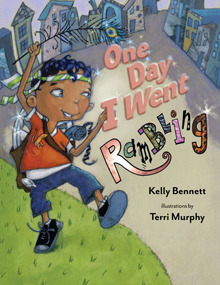 Take a moment to consider the absolutely charming premise of One Day I Went Rambling, written by Kelly Bennett and illustrated by Terri Murphy, won’t you? If so, you will be ever so glad that you did. In the story, Zane, the protagonist sees magic in the mundane surrounding him. Pop tops are jeweled rings. Wooden crates hold the daring intrigue of a pirate ship. Nothing is normal. To Zane, everything is fantastical! And, as life would have it, Zane is surrounded by nay-sayers, peers that poke fun and tease a child who dares to think as a creative individual. Yet, Zane stays true to his individualistic nature, and in turn, influences others to begin to celebrate the wonderful freedom of thinking outside of the boring, common, everyday box. Kelly and Terri are over-the-top enthusiastic about this important tale. So much so, that they are offering a number of incentives to entice you to climb aboard the Rambling train. One is a discussion/craft guide in which directions for a variety of homemade band instruments are included – instruments that serve as props for a Reader’s Theatre interpretation of this unforgettable story. And, finally, the opportunity to participate in a giveaway! Yes! How wonderful is that? Link away today! Ahoy, mates, time’s a wasting. Climb aboard! Let’s sail away! We’ll explore the world together. Finding adventure all the way. 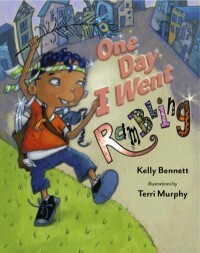 When author Kelly Bennett asked me to create a guide for her latest picture book, One Day I Went a Rambling, I took a cheerful jiggity-jaunt down memory lane. For, you see, years ago I directed a summer arts and creativity camp for kids and this marvelous book is one that I would have centered the program's entire theme around, had it been in print at that time. If I would have had this book in hand way back then, I'd have done exactly what Kelly asked me to to, which is to compliment the story's theme by creating a homemade band props out of everyday, commonplace objects like paper plates, plastic bottles, a shoe boxes. Then, as a program finale, I would have cast and performed a Reader's Theatre rendition based upon this wonderful tale. I believe in this story's the timeless inspirational message - when we have the eyes to see, anything is possible! One Day I Went Rambling is sensational. There is so much to love about this book. Below are three reasons why you should buy it, read it, and enjoy it. Order away. You'll be glad that you did! I love protagonist Zane's, unassuming, individualistic demeanor. In the story, Zane sees the fantastical creative potential in everyday items such as feathers, shells, a wooden crate. He's lost in a visionary quest for adventure. Way to go, Zane, my man. I love that. Way to go. I love illustrator Terri Murphy's pictorial expression of the story's theme. Reader, once you have the book in hand, I encourage you to take a several slow, sweet moments to absorb her artistic interpretation of all of the characters involved in the story. Note the deep, emotionally subtle yet whimsical techniques of her masterful work. Absolutely amazing. And trust me, she is, too. I love that the story is founded upon the premise that magic that can be found in the mundane - a hubcap as a a flying saucer, or a pop top as a magic ring, or even Grannie's slip as a covered wagon top. This book illuminates the notion that all things are marvelous in the eyes of the beholder, if they're willing to see life in this way. One Day I Went A Rambling speaks to the inherently creative nature that lives within us all. When we dare to let loose and dance to the beat of the unique drummer that resides in our hearts, others will sit up, take notice, and - maybe, just maybe - dance along beside us. Each guide that I create offers its own interesting slant. Each are great fun to do in their very own way, and the lovely Lindsey Lane's Snuggle Mountain was no exception, at all. For you see, this charming picture book is now being sold as an app (and sales are going quite well, I might add). Lindsey and illustrator Melissa Iwai have taken a flying leap into new, uncharted e-territory, and I am thrilled have a chance to tag along for the ride. Lindsey and I often chatted about making a guide. Being that this book/app is so unique, I wanted to create something that would offer teachers, parents, and librarians something substantial to pull from, something that they would use time and time again. The Traits entered into our conversation. I happen to love working with the 6 + 1 Traits of writing. 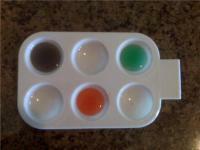 Kids respond so positively to the method. The activities are clear, lively, sound, and so kid-centered. Being that they are founded on the child's creativity rather than stringent academic confines, the work that comes from the young writers is delightful! So, why not make a Traits guide for this delightful picture book/app? Woot! 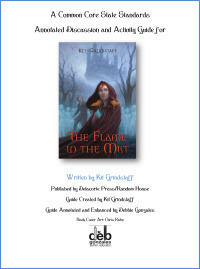 The guide consists of a number of lessons all centered on the text and illustrations, rubrics to evaluate each trait, writing paper, and a very cool poem page (my fave!). To best benefit from the guide, have the book or app in hand, as the lessons require close consideration of Snuggle Mountain before letting those creative minds soar! I have to say that when Kelly Bennett asked me to make a guide for her newest picture book One Day I Went Rambling, I was stoked! This book celebrates the unbridled creativity of a free-thinking child like no other book I've ever read does...which totally speaks to the true Simple Saturday spirit that resides within me. Without giving too much of the story away, the protagonist sees the world in a marvelous, creative way as demonstrated when, in his eyes, an old women's slips become sails, a weather wooden crate becomes a pirate ship, and a pop top becomes treasured jewels. The kid is cool. There's no getting around it. In one of the final scenes, the protagonist leads a rag-tag band of neighborhood kids in a parade, of sorts. To illustrate the final scene and the theme of this darling book, when Kelly contracted me, she stated that she wanted me to orchestrate a homemade band. Truly music to my ears!!!! Rock on. So, in celebration of Kelly's latest picture book success, let's begin with the string section. Let's make a Simple Saturday shoe box guitar! It's so, so simple to do. All you need to make this accoustic wonder is a handful of rubber bands, a shoe box and some scissors - for real! Simply cut a sound hole (Thanks, Wikipedia) out of lid of the box. Then, lengthwise, stretch the rubber bands over the sound hole. Now close the box and you're in the music business, baby! Through the course of the guide I created homemade instruments to fill the brass, percussion, string, and the woodwind sections of the orchestra. Plenty of symphonic Simple Saturday fodder for a long time, my dear friends. Plenty. Y'all, this is an incredible book founded on the celebration of everlasting love between a husband and a wife and it ROCKS! 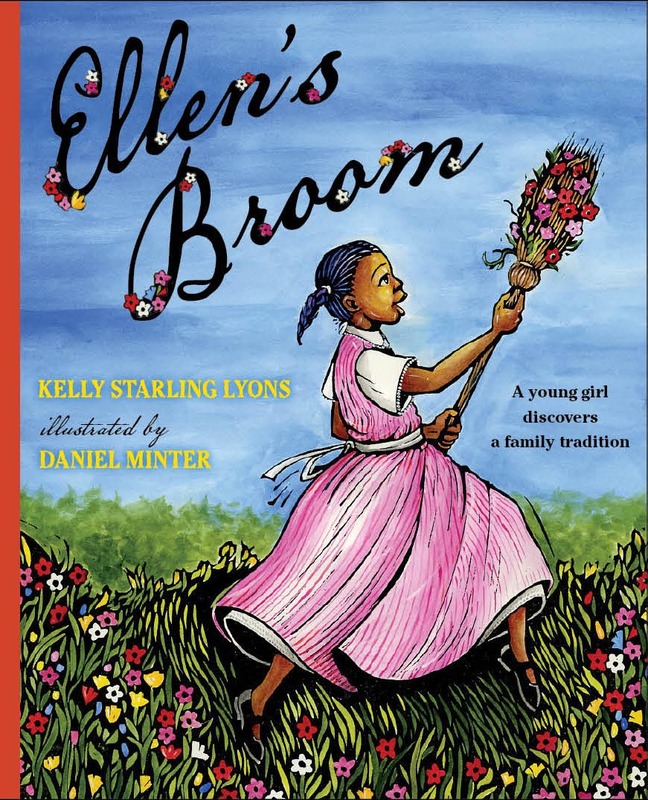 Kelly Starling Lyons' tender poetic prose nails the inquisitive nature of Ellen, a young girl learning about great happiness born from hardship - all in the name of marriage and of freedom. I really enjoyed working on Activity/Discussion Guide. Not only is the story amazing, the illustrations....oh, my golly gosh! Daniel Minter's linoleum block prints blew my socks off! To imagine the patience and skill required to carve away with such delicate precision baffles me. Then I spread black paint all over my meat tray block print and made a print. After my print dried, I used tempera paint to fill in white space with color. What do you think about my apple tree? Pretty spiffy, eh? Not bad for a novice. I'm sure you can do a whole lot better. Try it. Make a meat tray block print. It's fun!!! And, more importantly, take a look at Ellen's Broom, when you get the chance. Get lost in Kelly's wonderful words perfectly complimented by Daniel's incredible artistic sensibilities. Much like my own! Ha! I've just spent the most delicious morning basking in gratitude for the joy in my life and setting intentions for the great new year to come, one of which is to return to my beloved Simple Saturday blog posts. Truth be told, I've been busy crafting reading guides for a number of great books, many of which are seasoned with Simple Saturday-like activities. You name it - games, crafts, recipes - all kinds of good stuff. And I've been busy blogging with my ReaderKidZ buddies on a regular basis, so I have lots of good ToolBox goodies to share with you, as well. All this to be said, come back and see me on Saturdays, won't you? You'd best bring some scissors and glue with you, while you're at it. Together, let's craft a stellar New Year! To make a vibrant guide I first need a lively, multi-sensory, energetic story filled with heart and soul. And my buddy Bethany Hegedus pulled it off without a hitch. She dun good, I tell ya. Real good. Her Truth with a Capital T is rich, rich, RICH with, as IndieBound says, "...grace and humor and a heaping helping of little-known facts, Bethany Hegedus incorporates the passions of the North and the South and bridges the past and the present in this story about one summer in the life of a sassy Southern girl and her trumpet-playing adopted Northern cousin." How 'bout that? In regards to making the guide, Bethany gave me a ton of scrumptious literary stuff to work with. In addition to in-depth discussion questions and those ever-important TEKS annotations I created quilt codes, metaphor madness, a Reader's Theatre, and even a recipe for deeee-licious blackberry cobbler. Yum. Yum. Click HERE to get a look at the the guide, if you'd like. But, for me, the best part are the YouTube video clip selections - in particular The Best Bluegrass Clogging Video Ever Made. Boyeeee! I love this video!! I challenge you to watch it without letting a smile stretch across your face. Can't be done. Check out the jaunty tilt of the banjo picker's hat, will you? How the the old guy's elbow pumps? Pap Paw snoozing on the settee? And the darling dimpled girl with the dashing smile? Got to love it! In my mind, this video captures the multi-generational heel-kicking love of cultural diversity Bethany so aptly celebrates in her books and in her life. Think I'll watch it again. No, I'm talking about the oh-so-energetic-try-to-sit-still-and-can't dance of the official American dance of the Appalachian Mountians. Man-oh-man, I just love it! We took a trip to Mountian View, Arkansas once when the kids were pint-sized...a little family trip that will be forever warmly nestled in the folds of my heart. There I saw cloggers in action for the first time in my life and I was mesmerized! Still am. Tomorrow I'll give you a little taste of what I'm talking about. Woot!